I asked those following us on Facebook what recipe they would prefer to see, red currant jam or stuffed zucchini. While we had an underwhelming response to the question (Thanks Carlee & Georgiana!) the zucchini vote was unanimous. So here it is, easy easy easy stuffed zucchini. I’m always trying to get Zara (and my husband) to eat vegetables new ways AND we’ve acquired a couple of vegetarian friends since moving to Plymouth- so it’s exciting and challenging to find new, easy and delicious things to eat. This past weekend we had some friends over for dinner- the main was fried fennel pasta- I wanted something super summer to serve as a side. I’m lucky as we have a fabulous farm stand down by manomet point where I buy some veggies a few times a week which inspire my dinner creations. This weekend Zara picked out the biggest green zucchini I’ve ever seen. Right, so zucchini…as a side…serving 4 adults and two veggie loving kids. Zara requested cheese be involved- I’ve never say no to the inclusion of cheese. Once you cut your zucchini lengthwise, scoop out the flesh (the softer bit in the middle). Chop up the zucchini flesh you dug out as tiny as you can get it. 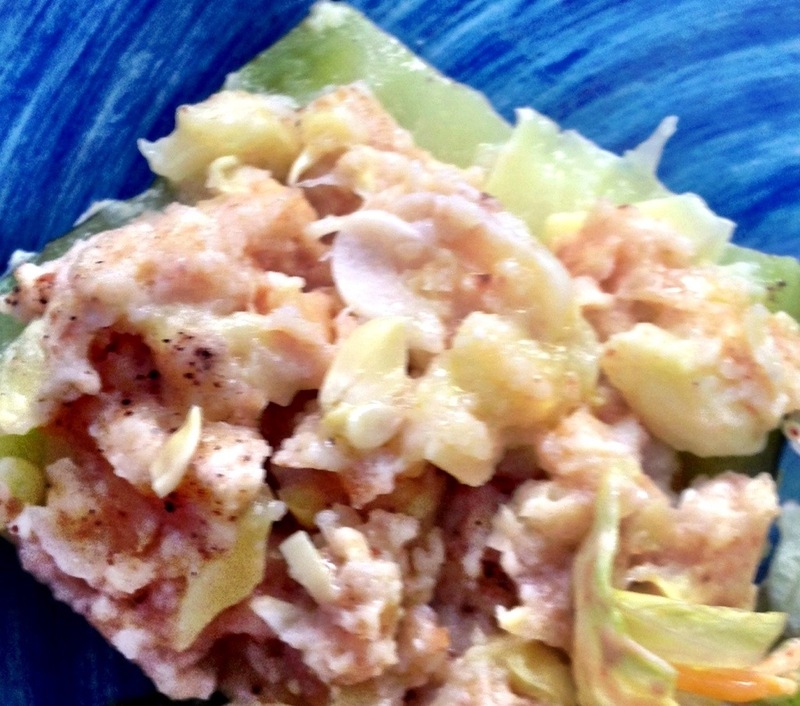 In a bowl combine zucchini flesh, garlic, egg and breadcrumbs. Mix well with your hands. Add cheese, mix again. 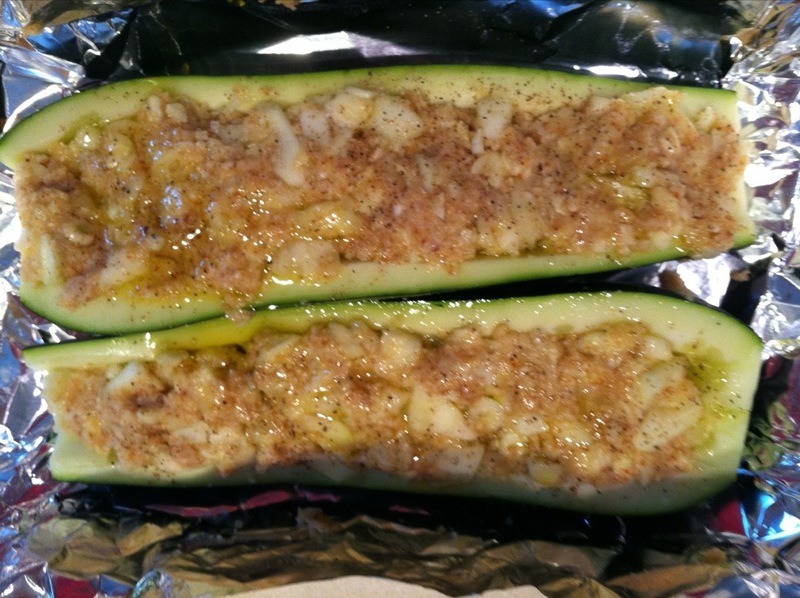 Fill each zucchini shell with this mixture and pack it tight (there should be no leftovers). Place on tinfoil and drizzle olive oil. Fold tinfoil to create a packet (you’re basically steaming them on the grill). Place on grill for 20 minutes. Open and serve. We cut into slices which did not make for a pretty picture, but it was a delicious side! Previous Previous post: Royal Baby Contest Time!